This year we’re eschewing the traditional fruitcake for a gorgeous creation by London baker Victoria Finkel of The Cake Studio. 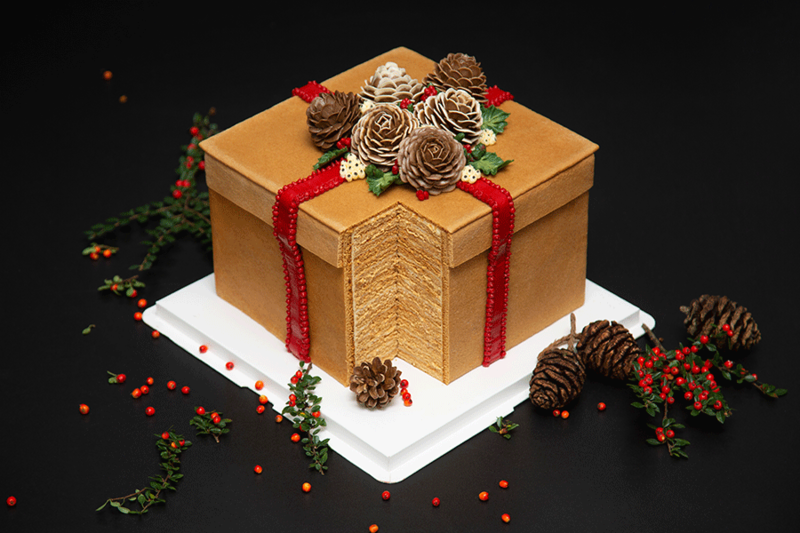 Victoria uses delicate Korean buttercream to create exquisite works of art, and her Christmas designs look seriously too good to eat (but do, we urge you, her signature honey cake is the best we’ve ever eaten). And if you still like the idea of creating your own, Victoria offers one-to-one classes and group workshops in professional cake decorating.